The Théâtre du Shabano’s tales are meeting places where physical bodies, puppets, music and words intertwine, call to each other and create original performances, both theatrical and poetic. The story, the narrative and its poetic transposition to the stage. Scripts that explore our relationship to childhood or and give voice to children. Stage composition with strong visual and sensorial elements. In her early productions, Franco-Peruvian “director and guide”, Valentina Arce explored the power and beauty of South American legends. Original productions from 2005-2007: « La Fille du Grand Serpent (Daughter of the Long Snake) », Tupi legend from the Amazon, adapted from Béatrice Tanaka’s beautiful tale; « Inti et le Grand Condor (Inti and the Giant Condor) », legend from the Andes Mountains; and « Wayra et le Sorcier de la Grande Montagne (Wayra and the Wizard on the Big Mountain) », a Mapuche legend (Chili). 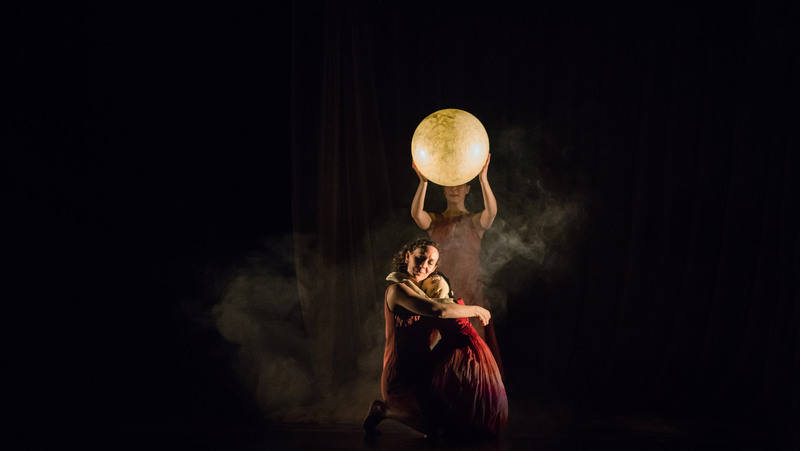 in « Contes et murmures du grand Tambour (Legends and Whispers from the Big Drum) », the company began to work with puppets, who became the voices of these three fables, from three different continents. It was also the first collaboration with musician Christine Kotschi and her instruments from around the world. « AMARANTA », based on a contemporary Columbian tale by Nicolas Buenaventura, with puppets designed by Israeli artist Einat Landais. This play is part of the project «Avignon 2017-Enfants à l’honneur» that seeks to bring young audiences to the Avignon Theater Festival and is organized by the French association Scènes d’enfance – ASSITEJ-FRANCE. The company is actively searching for partners for residencies, co-producers, pre-programming, and educational collaborations around the creation of the show. Current partners: Théâtre au Main Nues (75), Compagnie Tro-Héol (29), Studios de Virecourt (89), Théâtre de l’Abbaye de Saint Maur (94). id mattis Aliquam odio elementum ut efficitur.